Have you tried the date and nut bites from Trader Joe’s? They are a really convenient snack for the kiddos (and parents!) and I love the short, recognizable ingredient list. I just throw them in the diaper bag or keep them in the car for snacks-on-the-run. Trader Joe’s and their creative snacks and meals have saved me more times than I’d care to admit. However, the first time I bought these snack bites, I was shocked by all the plastic! It is 10 individual, plastic-wrapped squares in a bigger plastic bag. I’m not one to get crazy about plastic & trash - I do my part to recycle, minimize waste, etc. - but this just seems excessive. So, of course, I took matters into my own hands and made these 5 ingredient snack bites in about 5 minutes flat using my food processor. Check out the super simple recipe below. As I mentioned, one of the things I love about these bites is the short ingredient list, but that doesn’t mean I didn’t make my own little tweaks! The original Trader Joe’s cashew and apricot bites have coconut nectar as an added sweetener, in addition to the natural sweetness already coming from the dried apricots and dates in their recipe. I simplified in my recipe - just apricots. That’s it. They are still deliciously sweet, and even more tasty, in my opinion, without all the extra sweetness! I also took a little shortcut for added citrus flavor. Trader Joe’s includes lemon and orange zest in their recipe. I didn’t have fresh citrus on hand when I was making these, but I DID have my dōTERRA essential oils handy! I love cooking with these when I can because they are just pure, concentrated flavor from pure plant sources. 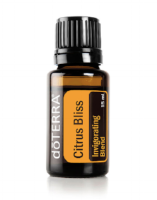 I just added 3 drops of Citrus Bliss to the recipe and it added such a delicious zippy flavor from the combination of Wild Orange, Lemon, Grapefruit, Mandarin, Bergamot, Tangerine, and Clementine with a hint of Vanilla. Mmmmm Mmmm! If you have fresh citrus to zest, by all means, try that! 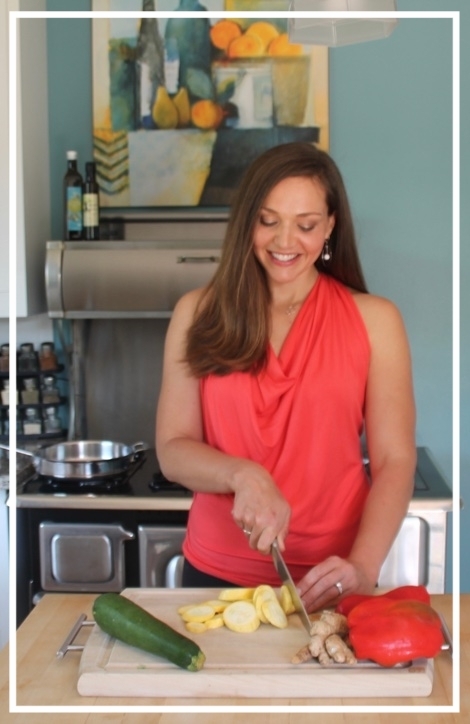 But if you’re anti-extra dishes, and pro short cuts with high quality ingredients, like me, then check out the links to stock your pantry with some of these amazing oils to flavor your foods. That’s about it! Just 5 ingredients and 5 minutes to make these tasty little nuggets! They are perfect as a lunch box treat, after-school or sports team snack, or on-the-go emergency fuel when you just have one more errand to run, but the kids (and you!) are STARVING and need something to help you make it through! Have you ever tried to re-create any foods you’ve found at the store or in a restaurant? What have you come up with? In a small bowl, combine chia seeds with 1/4 cup water. Mix and let soak a couple minutes while you assemble other ingredients. Line an 8 x 4 loaf pan with parchment paper. Combine all ingredients, including soaked chia seeds, in a food processor. Pulse or turn on food processor until all ingredients are finely ground and well combined. The mixture should be sticky and clumpy. Turn contents of food processor out into lined loaf pan and press mixture evenly into pan. Refrigerate for 30 minutes or more to let mixture set. Remove parchment and snack square mixture from pan and cut into 24-28 even 1-inch squares. Store in the refrigerator or freezer in a sealed tupperware or bag.